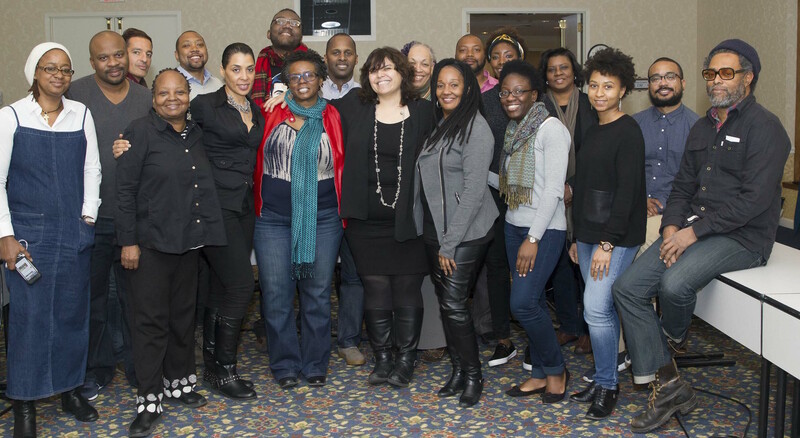 The National Black Programming Consortium has narrowed the field for NBPC 360, its ambitious new incubator program, to eight projects. The funding initiative, an undertaking with 15 media partners including WNET in New York City, aims to identify innovative storytellers and generate series and digital and multiplatform content for television and the Web. Finalists are attending a six-week boot camp with veteran producers that started Monday. The eight hopefuls are competing for development funds of $50,000 to $150,000 for series pilots. That work will lead up to Pitch Black, where finalists will pitch in front of a live audience to a panel of public media and industry executives, distribution and production companies and public television stations. Judges will evaluate finalists on their market and audience research, technical and artistic merit, relevance and suitability to the media outlet. Three teams will receive pilot production funding. They will be assigned an executive producer, producing station or both and create the pilots over the next four to six months. NBPC will help them pursue broadcast and distribution opportunities. NBPC received 163 applications. That “overwhelming response” shows “there’s truly no shortage of topics and stories centering on the black experience, and there’s a funding gap in the early development of such projects, a gap that NBPC 360 can fill,” said NBPC Executive Director Leslie Fields-Cruz in Monday’s announcement. Major funding comes from CPB. “Street Cred,” by Sultan Sharrief, a TV series that challenges Detroit High School students to learn entertainment production skills and compete for an internship. NBPC, a Harlem-based media arts nonprofit, is part of public broadcasting’s National Minority Consortia, bringing voices of underserved communities to broadcast and online audiences. Partnering on the NBPC 360 initiative are lead station WNET in New York City; WTTW, Chicago; WYES, New Orleans; KQED, San Francisco; WGBH, Boston; the World Channel; American Public Television; the National Minority Consortia; South Carolina Educational Television; BritDoc; POV; the Independent Television Service; IFP Made in New York Media Center; Tribeca Film Institute; NYC Media; and media accelerator Silicon Harlem.